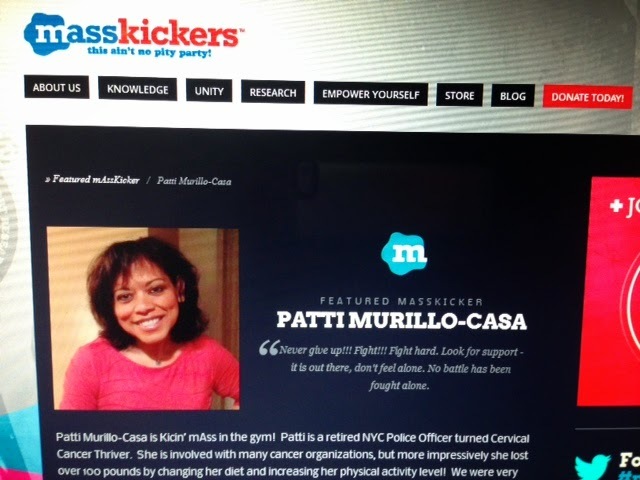 I was honored to have been featured on the mAss Kickers organization's website a few months ago. The mAss Kickers Foundation (MKF) was founded by brain cancer survivor Eric Galvez . MKF is a 501(c)(3) non-profit organization, which provides support and motivation to all newly-diagnosed patients, family, and friends affected by tumors or cancer. MKF serves this mission through its website, fund-raising, and select events throughout the year. "Never give up!!! Fight!!! Fight hard. Look for support - it is out there, don't feel alone. No battle has been fought alone". Editor's Note: I want to thank Eric for featuring me on his website, and for giving the opportunity to share my story. I'm flattered to be among an amazing group of mAss Kickers. Wishing you all the best Eric. You are an inspiration that keeps inspiring many. You are doing an outstanding work. Congratulations my friend!! !